Some perfectly good vehicles fail to catch on with consumers, and savvy buyers can snap up such automobiles at deep discounts in a final model year. 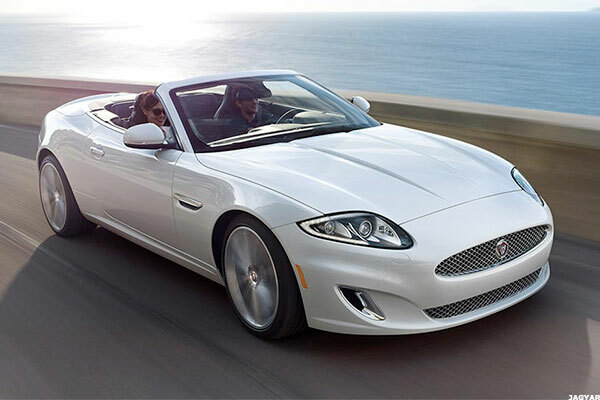 NEW YORK (MainStreet) — If you dream of owning a Dodge Grand Caravan or jump for joy at the thought of buying a Jaguar XK, act fast; both are among cars automakers plan to ax in the next year or so. "If a car isn't offering [a manufacturer] a good return on the investment, they to have to cut their losses at a certain point and pull the plug," says Edmunds.com's Mark Takahashi, who expects manufacturers to nix around a dozen models after 2015. Automakers drop cars from the U.S. market every model year, primarily as a result of disappointing sales — although other factors sometimes come into play. For instance, General Motors' 2009 bankruptcy restructuring led to the complete demise of Pontiac, Hummer and other auto brands. Kelley Blue Book's Karl Brauer adds that manufacturers also occasionally discontinue models that they believe no longer fit in with a brand's overall image. For example, he says, Fiat Chrysler plans to pull the plug on the Dodge Grand Caravan minivan partly because the firm wants consumers to associate the Dodge name with higher-performance vehicles. Both experts say car shoppers should approach "dying" models with caution, as there's often a reason the model has been selling poorly. "You want to do your homework and make sure a car isn't being killed off for a reason like bad quality," Takahashi says. "The vast majority of cars that are killed off deserved to die." But he and Brauer add that some perfectly good vehicles fail to catch on with consumers for whatever reason, and savvy buyers can often snap up such automobiles in a model's final year at deep discounts. "You can find a killer deal in most cases on a car that's being discontinued because it was most likely a slow seller to begin with, and now they'll really want to unload the remaining ones as quickly as possible," Takahashi says. Read on to check out five models automakers have either already announced plans to discontinue after the current model year or that market watchers strongly suspect will drive off into the sunset in the near future. Models appear in descending order of manufacturer's suggested retail prices for base 2015 versions, and all dollar figures exclude destination fees and any available rebates. Jaguar has announced plans to scratch this sporty two-door model after 2015 to focus on the two-year-old F-Type and other more recent offerings. "The XK has been around in different iterations [for years], so it makes sense to let it go," Takahashi says. "With the lighter, sportier, sexier F-Type now available, I can certainly understand Jaguar killing the XK off." Base XKs come with rear-wheel drive, automatic transmission and 385-horsepower V-8 engines, while top-of-the-line models boast 550 horsepower and can go from zero to 60 mph in around four seconds. Cadillac plans to redesign and rename the SRX in the near future, but claims it's doing so as part of a program to use a mix of letters and numbers in model names and isn't really "discontinuing" the car. Still, Takahashi expects the revised model to be smaller and go up against the Audi Q3 and other smaller rivals instead of the SRX's current, slightly larger competitors such as the Audi Q5. 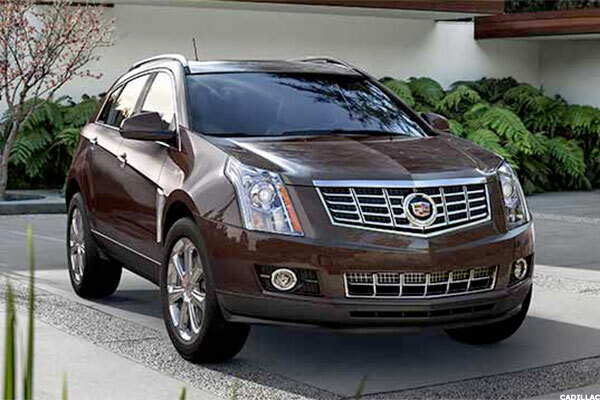 Cadillac's entry-level crossover, the SRX comes standard with a Bose eight-speaker stereo, a 308-horsepower V-6 engine and other upscale features. But Takahashi says the model, which hasn't gotten a full redesign since 2010, is up against some tough competition and "is feeling its age." One of a dwindling number of "true" sport utility vehicles (those built on truck frames instead of automobile ones), the Xterra has long won praise for its off-road capabilities. But it is losing ground to more-refined, car-based SUVs. 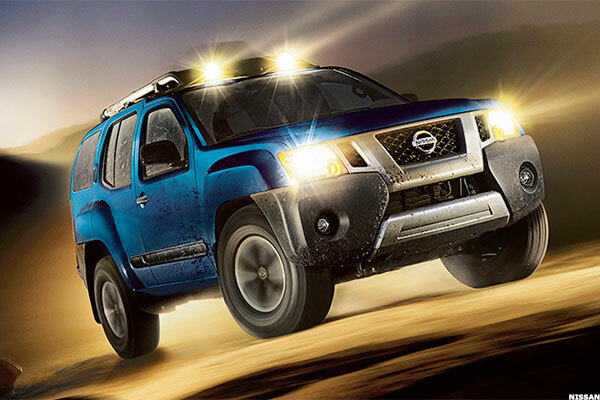 Top-of-the-line Xterra models can handle all sorts of terrain, thanks to four wheel drive, a 261-horsepower V-6 engine, off-road tires and other rugged accoutrements. But Takahashi expects the model to go away after 2015, although Nissan hasn't made any such announcement. "The Xterra is a great vehicle for adventure-bound folk," he says. "The problem is that all-conquering attitude comes at the expense of on-road drivability." Fiat Chrysler has confirmed the impending demise of this minivan, although it hasn't said exactly when the model will go away. Market watchers suspect the seven-passenger vehicle could depart after the current model year, although the company plans to continue selling the virtually identical Chrysler Town & Country. Brauer says the Grand Caravan's phaseout could make the vehicle a great deal for consumers. 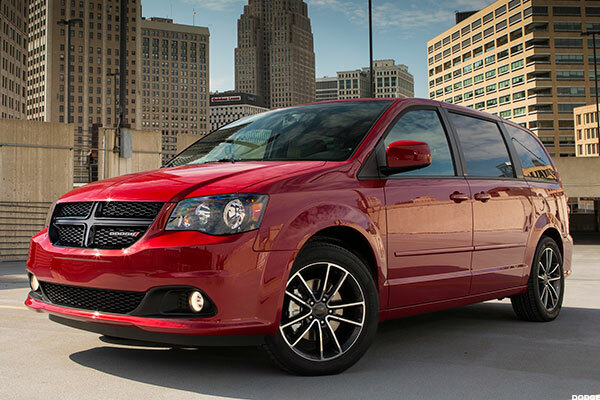 "There's nothing wrong with Grand Caravan — Dodge has sold millions of them," he says. "It's just that [Fiat Chrysler] is changing the entire image and role of each of its brands." This small minivan has apparently failed to make a big enough impression on consumers to survive, so it's reportedly on the way out after 2015. Mazda hasn't made any official announcement about the vehicle's discontinuation, but the well-regarded trade publication Automotive News has reported that the model is heading to the junk pile. Takahashi says the Mazda5 suffers from an "underpowered" 157-horsepower four-cylinder engine and a smaller-than-usual passenger capacity, offering room for six people instead of the seven or more most minivans can handle. 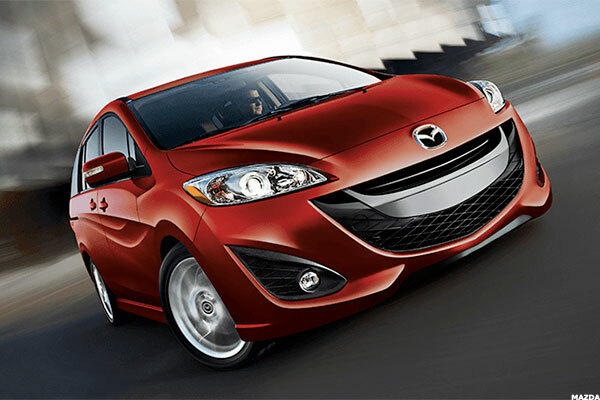 "Space and convenience are the main reasons anyone looks to minivans, and the Mazda5 lacks both," he says.